Thai Garden Resort – family friendly resort, just a few hundred meters from the beach, includes activities in and around property for all age groups. Several shopping malls and street shops are close to the resort, and guests can have their pick from numerous water sports on offer at the beach. Thai Garden Resort includes an outdoor pool with Jacuzzis, a swim-up jet stream, bubble bath, and a kid’s pool. 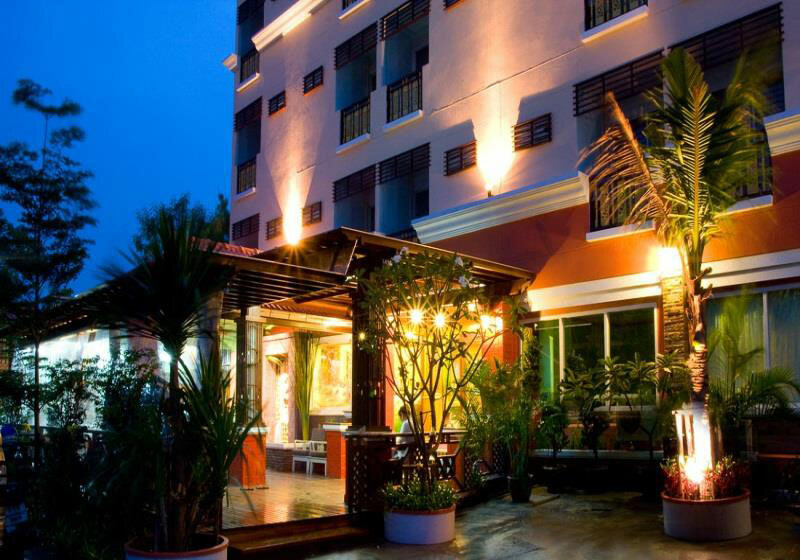 Rooms are decorated in a traditional Thai style and feature local art and complimentary Wi-Fi access. After a day of activities, book yourself a relaxing massage at the resort itself. You can also enjoy the nightclub, shuttle service, and the business center for those looking to do a little work. This city resort provides fun for the entire family. Disabled guests can experience the fun as well with facilities designed to ensure a comfortable stay. Short Description: Thai Garden Resort - family friendly resort, just a few hundred meters from the beach, includes activities in and around property for all age groups. Several shopping malls and street shops are close to the resort, and guests can have their pick from numerous water sports on offer at the beach.